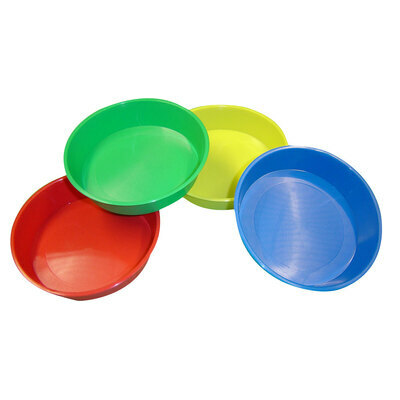 A great option for all kinds of activities, these Paint Dip Bowls fit in with any nursery environment with ease. Manufactured from a high-quality plastic to ensure longevity and suitability for small children, each one has a shallow, low bowl to reduce the risk of spills during use. They are brightly coloured to attract attention and are suited to a range of tasks from separating out sequins or beads through to painting and glues. The wipe clean surface eliminated the risk of stains caused by paints or inks and reduces the amount of time needed during clean up. When it comes to tidying away, these paint dip bowls are stackable which allows them to take up less room. While you're here, consider stocking up on items including our Paint Brushes and our Gompels Washable PVA Glue.